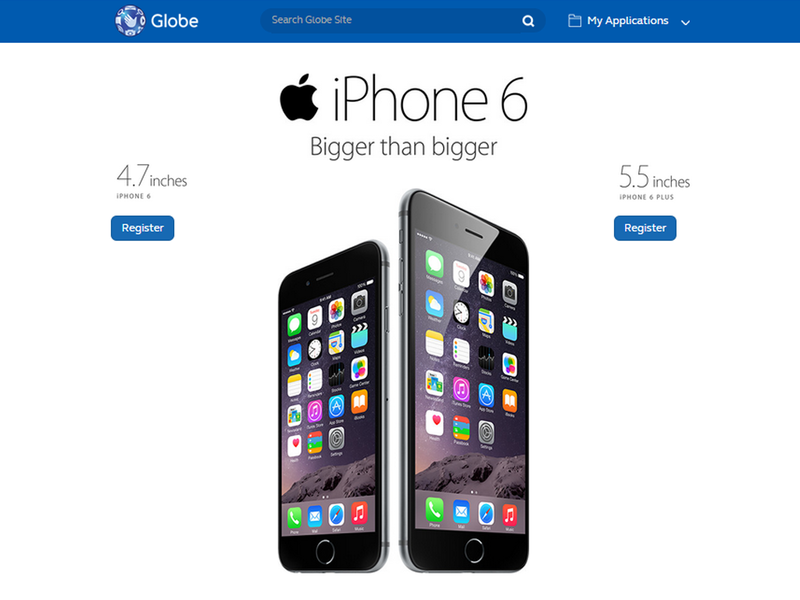 Globe is happy to announce that it has launched the pre-registration page for users who want to avail of the iPhone 6 and iPhone 6 Plus. As the first telco in the country to launch a pre-registration portal, it allows customers to signify their interest to get the iPhone 6 or iPhone 6 Plus from Globe. The pre-registration page (https://device.globe.com.ph/ ) allows new and existing customers to choose what iPhone they want to get under Globe and select the color and capacity. They can key in their personal details to receive updates about the newest iPhone devices, including specs and features. Globe has been carrying the iPhone since the launch of iPhone 3 in 2008. It is set to launch its wonderful offers and exclusive deals for the iPhone 6 and iPhone 6 Plus. When it comes to gadget, I always get the old models lol. It would be nice to have an iPhone 6 but I wouldn't pay that much. It must cost a lot I presume, that's nice for those people who are always update with modern technology. I've always wanted to pre-register for the iPhone 6... to bad my wallet couldn't agree with me. hehehe. What a cool phone to have. Oh how I wish I have one of those but I do not think y hubby will allow me to have one of that kind.